As I wrote in my previous post, my TS-930SAT died after the OKOM DX contest. Thanks to my friend Martin, OK1RR I have a new radio - TS590SG. Last weekend I was working on CQRLOG and builded packages of Lazarus 1.4.4 for Ubuntu 14.04. It was compiled with FPC version 2.6.4 that is available in the same repository on Launchpad. Enjoy! 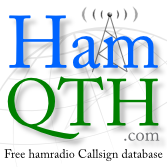 I'm sure, you already know an excellent HF propagation images from http://www.hamqsl.com/solar.html provided by Paul, N0NBH. There are some apps to show propagation on Windows and Mac desktop. I've been using Ubuntu Linux for years and also would like to have the image on my desktop as well.